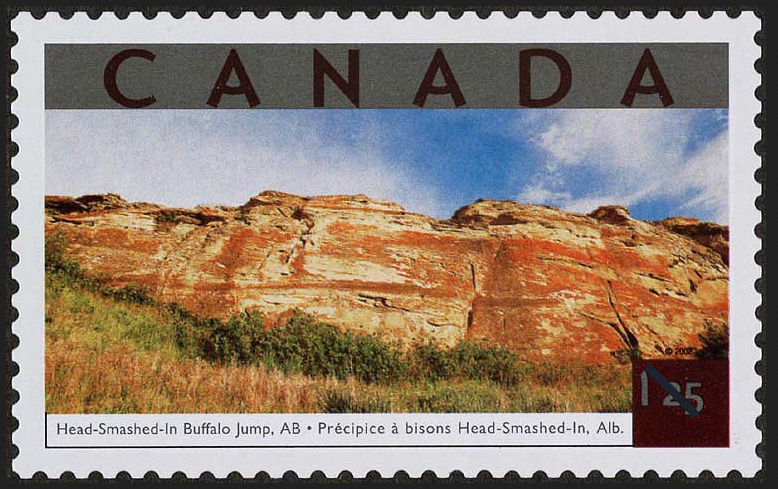 This USA rate Head-Smashed-in Buffalo Jump stamp is one of five featured UNESCO sites on this mixed rate 2014 issue. 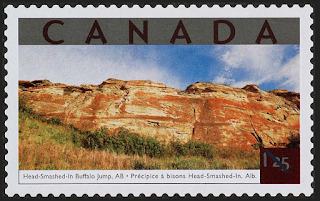 As one of the oldest and largest buffalo jumps, it was awarded heritage status in 1981. 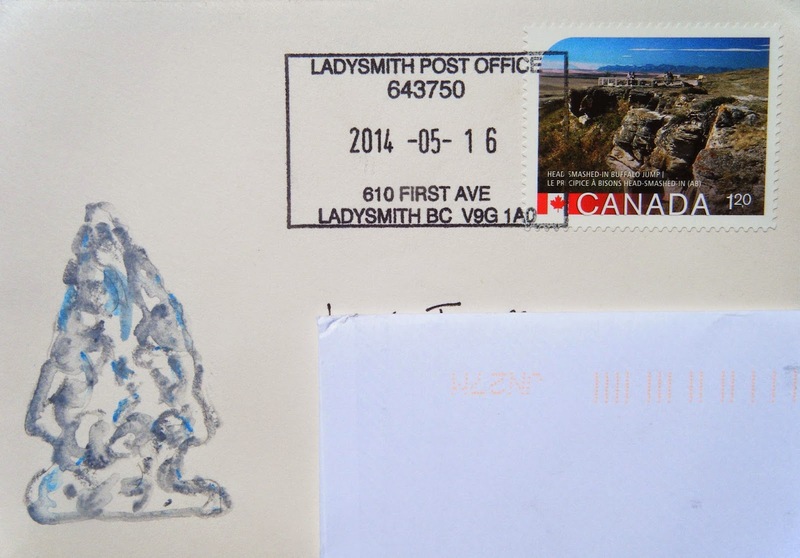 Why Canada Post neglected to include the UNESCO symbol on the stamps is puzzling - are they not topical collector-sales driven? Compared to the 2002 stamp on the same topic (below), this one lacks in both scale and colour. 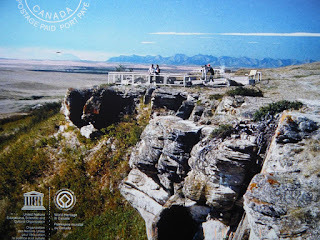 Surely Jack Brink has far better photos than this Tourism Alberta one. Thank you Chris! See what I mean about the photo? Its even grainy blown up to postcard size. This is a Pre-Paid Post Card for local and international delivery, the cost of these cards is the international letter/postcard rate ($2.50), at time of purchase. Issued: May 16 2014. Thank you KirKir! Domestic rate with the same image as above 2014 USA stamp, though much smaller in size. Issued: January 11 2016. A bottom up view of the buffalo jump on an internationally rated stamp from a 5v Tourist Attractions booklet. After 6,000 years of usage, this cliff would have been much taller originally, as many bison bones have raised the land surface, see here for great diagrams of this process. Issued: June 1 2002.